Holaaa Lexicans! Yes I haven't posted in ages. And yes I feel awful about it. If you have read my blog for about a year now, you will know that back in the December of 2015 I did a Room Tour as I had recently redecorated my room and painted it mint green. Now, a year later, I am still in the process of perfecting my room and so today, I decided to compile a list of things I would love to complete my 'dream' bedroom. I love Allyson Johnson's products, as a lot of them are mint green which fits with my room perfectly, and this clock is so nice! It is from the US, so quite hard to get personally here in the UK because the shipping is $39.95 (£31.70) so it isn't worth it, but if I ever see it somewhere cheaper, I may just pick one up! 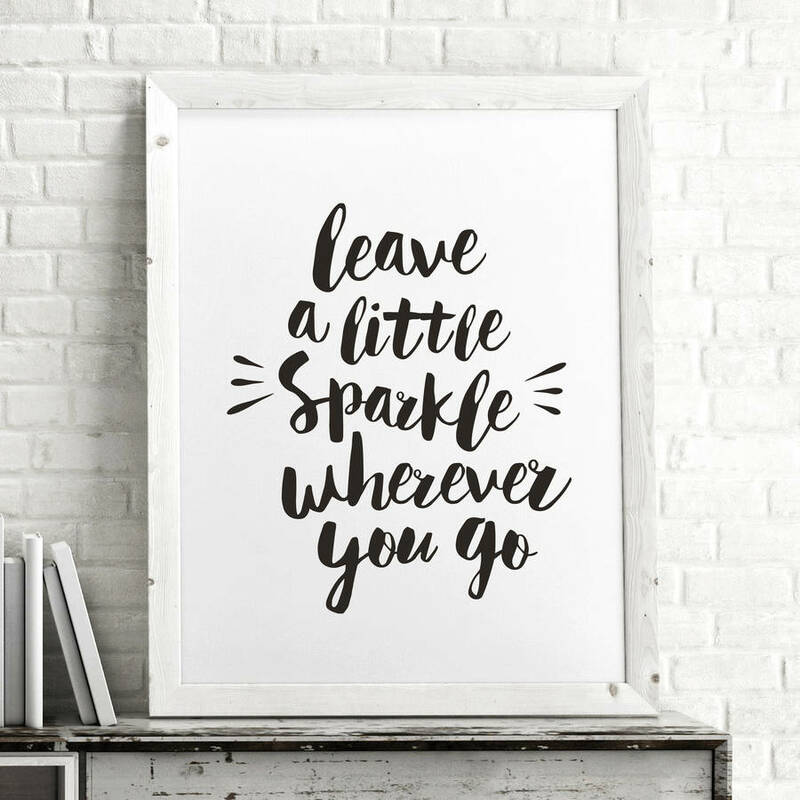 I love Notonthehighstreet.com and I love cute quote prints, so when I saw The Motivated Type's prints, I fell in love. This is one of many of the amazing prints that they do and that I think it would make a beautiful addition to my room. So those are the tops things I'd love to buy and add to my bedroom! What else do you like in your room? Do you want or have any of these? Wow, the things that you'd like for your room are so pretty! I love the mint stripes clock!